Rule of Law » Charter Right, Privacy of Personal Information; Surveillance; StatsCan Censuses & Surveys » 2018-02-13 StatsCan says response rate to 2016 census is highest yet, CBC. The names of those being prosecuted . . .
2018-02-13 StatsCan says response rate to 2016 census is highest yet, CBC. The names of those being prosecuted . . .
GIVE CREDIT: the CBC article below provides better reporting of the reasons for non-compliance than has typically been the case over the years since 2003 when all this started. 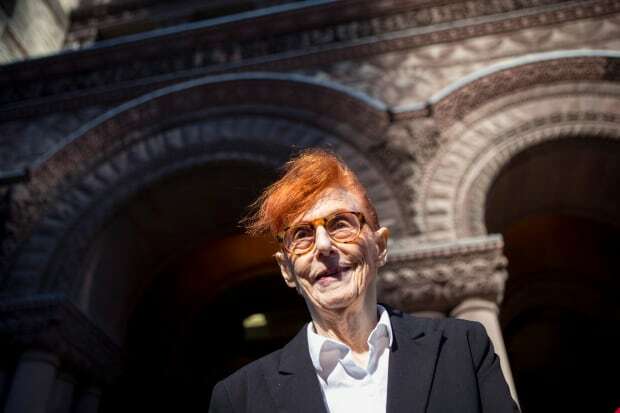 StatsCan and the Justice Dept charged Audrey Tobias for non-compliance when she was 89 years old. She refused to be complicit because of Lockheed Martin’s involvement. Her trial was in 2013. Audrey passed away at the end of 2016. At this moment I don’t have the words to express the pangs in my heart. You fought the good fight to the end, Audrey! I think you are still here, even if just to dance in celebration of achievement in the Lockheed Martin – StatsCan data-base-on-Canadians, debacle. HOWEVER, with StatsCan having publicly stated that Lockheed Martin is out, whether or not they actually are, if that is an individual’s reason for non-compliance, the Crown/StatsCan may have an advantage in Court. They’ve removed your raison d’etre. Courts do not want to hear about things like FVEY countries’ collaboration on census data bases and international surveillance. They want to know: did you, or did you not comply? However, at the last trial we did develop an effective strategy for placing what would otherwise have been blocked, before the judge. The Charter Right to Privacy of Personal Information I will defend to the end. If it dies, democracy dies. ROOM FOR IMPROVEMENT . . . ? I am from the school that says it’s better if you don’t lie. But better to lie outright than try your hand at manipulation through word-smithing. To claim that non-compliance went from 1.6 million down to a few hundred households from one census to the next (2011 to 2016), is streeeeeetching things a little too far! For the 2016 census, 98.4 per cent of Canadians filled out either the long- or short-form census. Most of the remaining 1.6 per cent couldn’t be tracked down or didn’t provide enough information to be counted properly. Statistics Canada identified 347 people unwilling to fill out the forms. (NOT) A record number of Canadians filled out the 2016 census, but there were still a few hundred people who refused. 14.6 million requests were made . . .
Q. . . . for completion of the form? A. We received a little bit over 13 million completed questionnaires for 98 per cent response rate. (14.6 million less 13 million) means that 1.6 million forms were not returned. Which means that StatsCan makes serious errors in basic math. 1.6 million non-compliance out of 14.6 million (the 2011 census) is 11% non-compliance. In memory of Audrey Tobias, how about a party in cyberspace? Who we are will mingle up there in the ether. When we started, very few people knew who Lockheed Martin was, and what they do in the world. We helped change that. Our right to Privacy of Personal Information vis-a-vis the Government, still stands although on wobbly legs. That’s a major success. Bless us all, join in the song and dance! The worst about the tyrants was not they themselves, but us, all our cowardice and servility … we are the dragons, had forgotten, and always knew. On a local news report I heard (I think I have this right) a man named David Stettler from the Vancouver area is in Court for non-compliance with the 2016 Census. I understood him to object to the collection of the volume of personal information demanded by StatsCan. Search as I may, I have been unable to turn up an online news report of ANY of the prosecutions that are underway. I have the fragment of what I heard this AM. It was stated that prosecutions are underway, the number was (35? ), slightly more than half the number prosecuted after previous censuses. However, in the past, as far as I know, ALL the prosecutions roughly started around the same time, near the end of the 2-year Statute of Limitations period, in about April. The strategy this time around seems to be: start the prosecutions early. It might provide incentive to those who are still holding out, to fill in a census form. Statistics Canada says the response rate for the 2016 census was its highest yet, but there will always be Canadians who refuse to participate. “At some point over the next couple of months we will decide if any cases will be referred to the Public Prosecution Service of Canada,” said Statistics Canada spokesman Marc Hamel. Census requirements became a hot-button issue in 2010 when the Harper government changed the rules for the long-form census, making it voluntary instead of mandatory. As a result, the response rate for the long-form census dropped to 68 per cent in 2011, down from 93 per cent in 2006. The drop was widely viewed as diminishing the value of the statistical information. Shortly after forming government the Liberals reinstated the long-form census as mandatory, meaning those who refuse could be criminally charged with penalties up to $500 in fines or three months in jail. The short-form census, which is the one most people get, has always been mandatory and there have always been people who refuse to fill it out. People’s motivations for not completing the census forms vary. “They can never make it 100 per cent secure,” said Philip Marsh of McBride, B.C. Marsh refused to to fill out the short-form census in 2011 and was charged with breaching the Statistics Canada Act. He argued the prosecution was arbitrary and that he shouldn’t be compelled to reveal details about his personal life to the federal government. “They don’t need to be storing my personal information about what my religion is or who my friends are. They need to know that I’m an upstanding citizen and I pay my taxes,” he said. The judge ruled against Marsh. Others have refused to fill out the census because Lockheed Martin helped Statistics Canada process the data. They considered themselves to be conscientious objectors to the weapons contractor’s involvement. Statistics Canada confirmed to CBC News that Lockheed Martin is no longer involved with the census. “For the 2016 Census … all systems were developed in-house,” it said in an email. 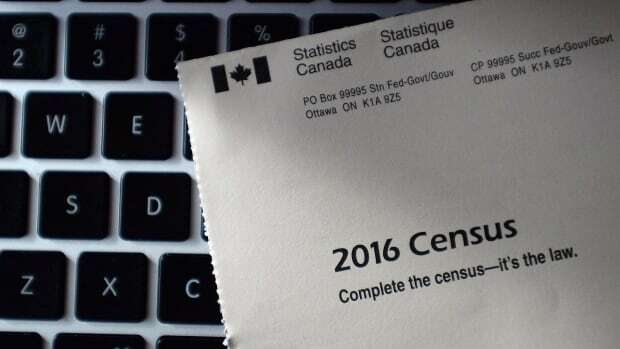 Of the 347 people who have been identified as unwilling to fill out the latest census, Statistics Canada says it’s still deciding who they’ll pursue through the courts. In 2011, Statistics Canada referred 54 cases to Canada’s Public Prosecution Service. In 2006, that number was around 60.